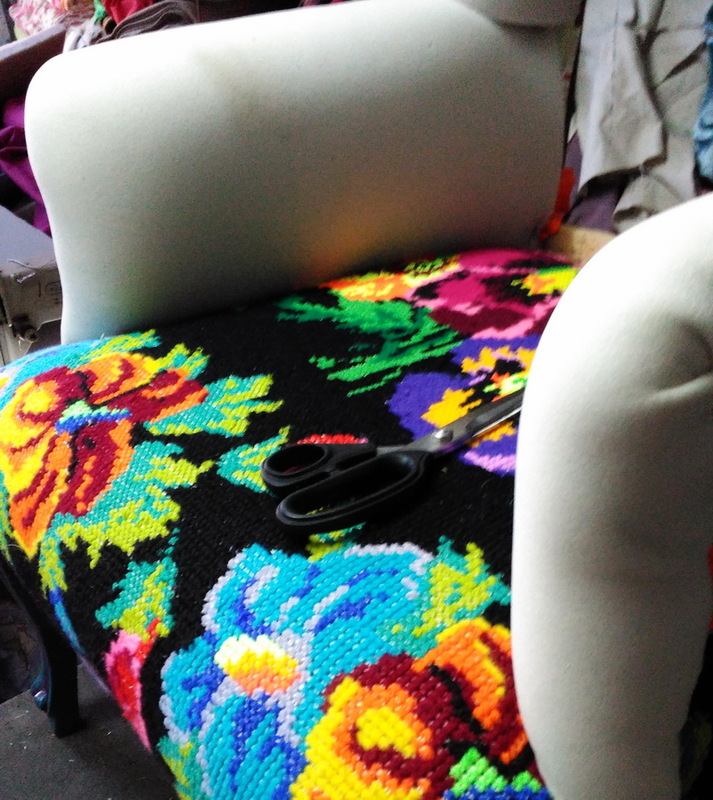 Star of the East: Bohemian Armchairs; Finally Ready! Finally finally the chairs that have been suffering since January are ready! After I did the paintwork which I showed last week, it was time to fill and upholster them. These chairs were the most time taking and effort requiring furniture pieces till now, mostly likely as they are two but also the way we changed the model from open woodwork to partially covered etc were all new things to us. They are both covered with the same embroidery, which was a gorgeous huge piece of embroidered tapestry. We puzzled it in such a way that not a tiny piece was left and both chairs got super colorful. Even the back sides are super colorful, no need to put them against a wall, all sides are worth showing off. As you can see the paint work I did was in 6 shades that are in the embroidery. They are available in our StarHomeStudio shop, among other one of a kind furniture pieces. Wonderful chairs! They make me just want to cuddle up with a good book!